Here's the front page of the Australian newspaper the Geelong Advertiser with KISS featured on the cover and in a report. 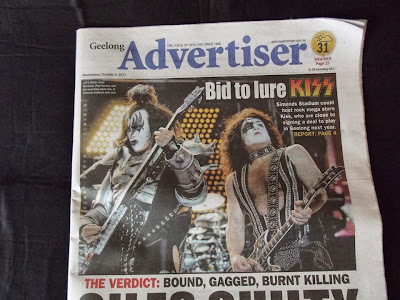 The front page caption reads: "Simonds Stadium could host rock mega stars KISS, who are close to signing a deal to play Geelong next year." "I live in Geelong and this town has gone KISS mad with this news. 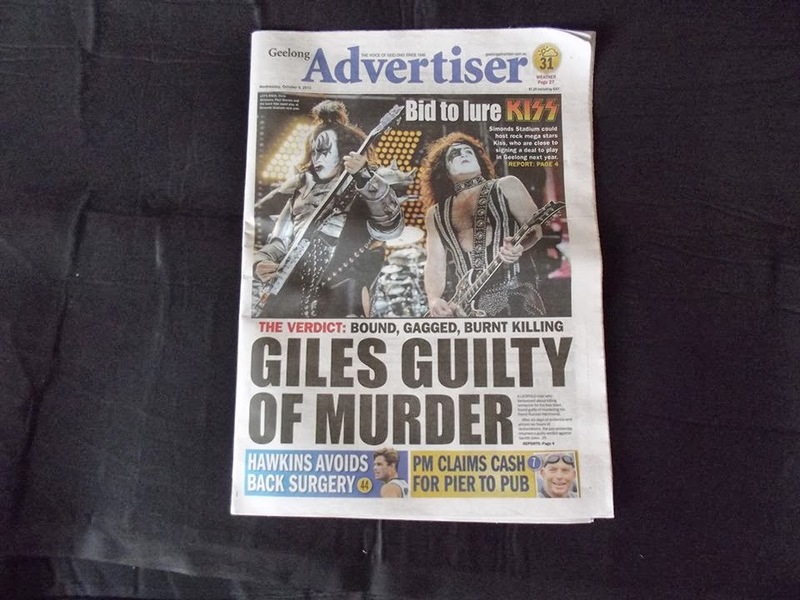 This is the front page Wednesday Oct. 9."